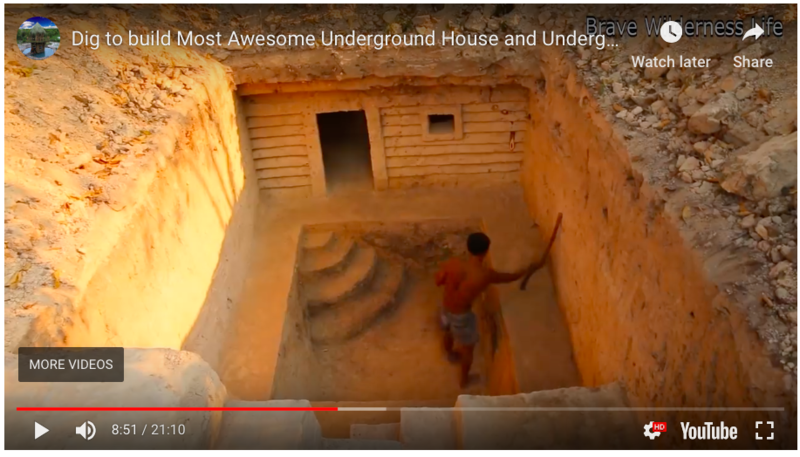 The building of this underground house and pool was presented by Cayote Person and his partner, Mark Lavins, on their youtube channel, "Brave Wilderness." At BraveWilderness.com the business partners post animal and adventure films to promote education and conservation. 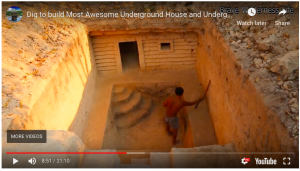 Here a man, using very primitive tools, builds this underground home and swimming pool. Watch the movie and then take a wild and crazy guess about how many hours this man must have spent in its creation. Work with your group to devise some ways that you might calculate a more accurate approximation. Be ready to explain your assumptions, method and conclusion to your class. 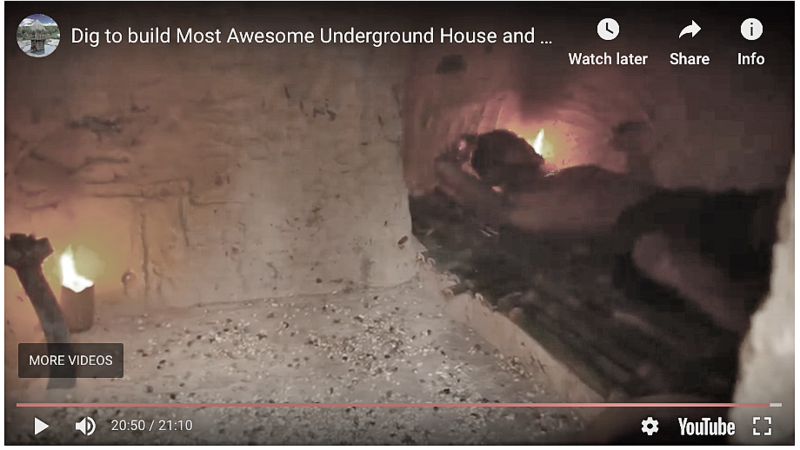 Perhaps these still pictures from the video will be helpful. Clicking on either of the images will show them larger in a new window.